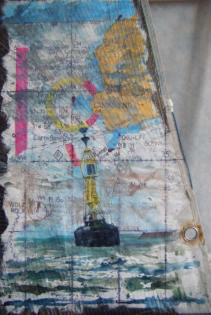 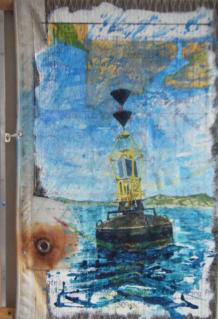 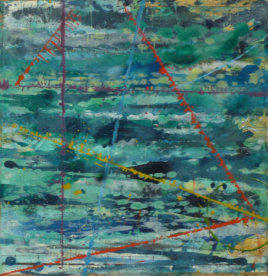 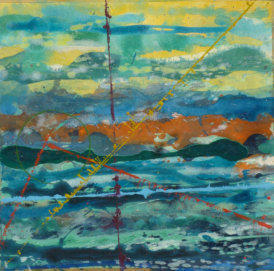 My recent series of paintings are instigated by my sailing interest. 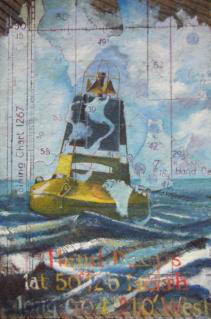 Deploying relevant sections of admiralty charts as a background, I have introduced images relating to sea conditions, weather, navigational marks, buoys and actual events to convey a sense of first hand experience. 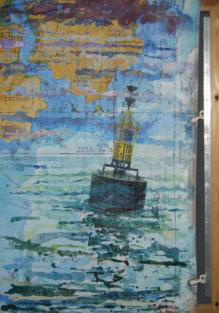 Using kevlar sail material as my canvas, I apply acrylic paint with a mixture of freedom and precision that reflects the nature of sailing.